"Spec Ops" redirects here. For the video game series, see Spec Ops (series). Special forces and special operations forces are military units trained to conduct special operations. NATO defines special operations as "military activities conducted by specially designated, organized, trained, and equipped forces, manned with selected personnel, using unconventional tactics, techniques, and modes of employment". Special forces emerged in the early 20th century, with a significant growth in the field during the Second World War, when "every major army involved in the fighting" created formations devoted to special operations behind enemy lines. Depending on the country, special forces may perform some of the following functions: airborne operations, counter-insurgency, "counter-terrorism", foreign internal defense, covert ops, direct action, hostage rescue, high-value targets/manhunting, intelligence operations, mobility operations, and unconventional warfare. The term special forces in the United States refers to the U.S. Army's forces, while the term special operations forces (SOF) refers to all units. In Russian-speaking countries special forces are typically called spetsnaz, an acronym for "special purpose". Likewise, Russian speakers refer to special forces of other nations as spetsnaz; for example, U.S. Special Forces would be referred to as amerikanski spetsnaz in Russian. Reaching a wartime strength of over 30 individual units and four assault brigades, the Commandos served in all theatres of war from the Arctic Circle to Europe and from the Mediterranean and Middle East to South-East Asia. 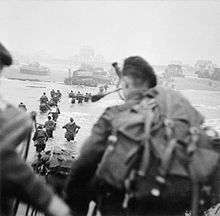 Their operations ranged from small groups of men landing from the sea or by parachute to a brigade of assault troops spearheading the Allied invasions of Europe and Asia. The first modern special forces units were established by men who had served with the Commandos, including the Parachute Regiment, Special Air Service, and Special Boat Service. The Commandos were also widely imitated elsewhere: the French Naval commandos, Dutch Korps Commandotroepen, Belgian Paracommando Brigade and United States Army Rangers were all influenced to some degree by the British Commandos. The force initially consisted of five officers and 60 other ranks. Following extensive training at Kabrit camp, by the River Nile, L Detachment, SAS Brigade undertook its first operations. Stirling's vision was eventually vindicated after a series of successful operations. In 1942, the SAS attacked Bouerat. Transported by the LRDG, they caused severe damage to the harbour, petrol tanks and storage facilities. This was followed up in March by a raid on Benghazi harbour with limited success but they did damage 15 aircraft at Al-Berka. The June 1942 Crete airfield raids at Heraklion, Kasteli, Tympaki and Maleme significant damage was caused, and raids at Fuka and Mersa Matruh airfields destroyed 30 aircraft. 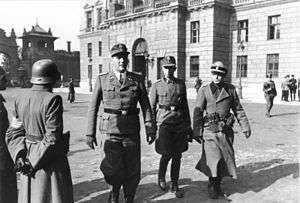 Immediately after the German occupation of Greece in April–May 1941, the Greek government fled to Egypt and started to form military units in exile. Air Force Lt. Colonel G. Alexandris suggested the creation of an Army unit along the lines of the British SAS. In August 1942 the Company of Chosen Immortals (Greek: Λόχος Επιλέκτων Αθανάτων) was formed under Cavalry Major Antonios Stefanakis in Palestine, with 200 men. In 1942, the unit was renamed Sacred Band. In close cooperation with the commander of the British SAS Regiment, Lt. Colonel David Stirling, the company moved to the SAS base at Qabrit in Egypt to begin its training in its new role. 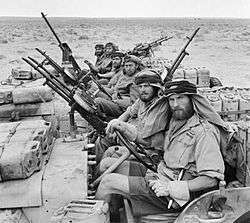 Operating under British direction, the special forces unit fought alongside the SAS in the Libyan desert and the Aegean. 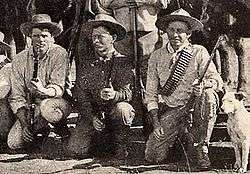 In mid-1942, Major-General Lucian Truscott of the U.S. Army, a liaison officer with the British General Staff submitted a proposal to General George Marshall that an American unit be set up "along the lines of the British Commandos", resulting in the formation of the United States Army Rangers. 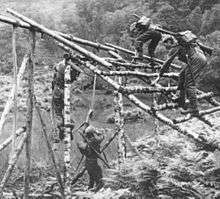 The United States and Canada also formed the 1st Special Service Force as a sabotage ski brigade for operations in Norway. Later known as the "Devil's Brigade" (and called "The Black Devils" by mystified German soldeiers), the First Special Service Force was dispatched to the occupied Aleutian Islands, Italy and France. The Axis powers did not adopt the use of special forces on the same scale as the British. The German army's Brandenburger Regiment was originally founded as a special forces unit used by the Abwehr for infiltration and long distance reconnaissance in Fall Weiss of 1939 and the Fall Gelb and Barbarossa campaigns of 1940 and 1941. Admiral William H. McRaven, formerly the ninth commanding officer of the U.S. Special Operations Command (2011-2014), described two approaches to special forces operations in the 2012 posture statement to the U.S. Senate Committee on Armed Services: "the direct approach is characterized by technologically enabled small-unit precision lethality, focused intelligence, and inter-agency cooperation integrated on a digitally-networked battlefield", whereas the "indirect approach includes empowering host nation forces, providing appropriate assistance to humanitarian agencies, and engaging key populations." Elements of national power must be deployed in concert without over-reliance on a single capability, such as special forces, that leaves the entire force unprepared and hollow across the spectrum of military operations. Special forces have been used in both wartime and peacetime military operations such as the Laotian Civil War, 1971 Indo-Pakistan War, Vietnam War, Portuguese Colonial War, South African Border War, Falklands War, The Troubles in Northern Ireland, the Jaffna University Helidrop, the first and second Gulf Wars, Afghanistan, Croatia, Kosovo, Bosnia, the first and second Chechen Wars, the Iranian Embassy siege (London), the Air France Flight 8969 ( Marseille), Operation Defensive Shield, Operation Khukri, the Moscow theater hostage crisis, Operation Orchard, the Japanese Embassy hostage crisis (Lima), in Sri Lanka against the LTTE, and the raid on Osama Bin Laden's compound in Pakistan. 1 2 North Atlantic Treaty Organization (13 December 2013). "Allied Joint Doctrine for Special Operations". NATO Standard Allied Joint Publication. Brussels: NATO Standardization Agency. AJP-3.5 (Edition A, Version 1): 1-1. 1 2 Joint Chiefs of Staff (JCS) (16 July 2014). "Special Operations" (PDF). Joint Publication. Washington, DC: Department of Defense. 3–05: GL-11. Retrieved 18 September 2016. ↑ North Atlantic Treaty Organization (17 November 2015). "NATO Glossary of Terms and Definitions (English and French)" (PDF). AAP-06 (Edition 2015). Brussels: NATO Standardization Agency: 2-S-8. Retrieved 18 September 2016. ↑ Thomas 1983, p. 690. ↑ Sawyer, Ralph D. (1993). The Seven Military Classics of Ancient China. Boulder: Westview Press, Inc. pp. 39, 98–9. ISBN 0-8133-1228-0. ↑ Christides, Vassilios. "Military Intelligence in Arabo-Byzantine Naval Warfare" (PDF). Institute for Byzantine Studies, Athens. pp. 276–80. Retrieved 2011-08-02. ↑ Turnbull, Stephen (2003). 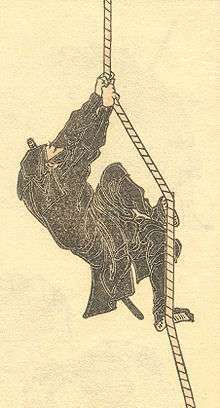 Ninja AD 1460–1650. Osprey Publishing. pp. 44–7, 50. ISBN 978-1-84176-525-9. ↑ John Plaster (2006). The Ultimate Sniper: An Advanced Training Manual For Military and Police Snipers. Paladin Press. p. 5. ISBN 0-87364-704-1. 1 2 3 Haskew, Michael E (2007). Encyclopaedia of Elite Forces in the Second World War. Barnsley: Pen and Sword. pp. 47–8. ISBN 978-1-84415-577-4. ↑ Joslen, H. F. (1990). Orders of Battle, Second World War, 1939–1945. London: Naval & Military Press. p. 454. ISBN 1-84342-474-6. 1 2 3 4 Moreman, Timothy Robert (2006). British Commandos 1940–46. London: Osprey Publishing. pp. 37–49. ISBN 1-84176-986-X. ↑ "Les fusiliers marins et les commandos". Ministère de la Défense. Retrieved 17 April 2010. ↑ "The history of the Commando Foundation". Korps Commandotroepen. Retrieved 17 April 2010. ↑ "Centre d'Entraînement de Commandos". Ministère de la Défense,la Composante Terre. Retrieved 17 April 2010. ↑ Thompson, Leroy (1994). 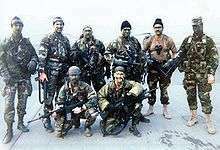 SAS: Great Britain's elite Special Air Service. Zenith Imprint. p. 48. ISBN 0-87938-940-0. 1 2 Shortt, James; McBride, Angus (1981). The Special Air Service. Osprey Publishing. p. 9. ISBN 0-85045-396-8. ↑ Molinari, Andrea (2007). Desert Raiders: Axis and Allied Special Forces 1940–43. Osprey Publishing. p. 75. ISBN 978-1-84603-006-2. ↑ Horner 1989, p. 21. ↑ Horner 1989, pp. 22–6. ↑ Horner 1989, p. 26. ↑ Horner 1989, pp. 26–7. ↑ "POSTURE STATEMENT OF ADMIRAL WILLIAM H. McRAVEN, USN COMMANDER, UNITED STATES SPECIAL OPERATIONS COMMAND BEFORE THE 112th CONGRESS SENATE ARMED SERVICES COMMITTEE MARCH 6, 2012" (PDF). United States Special Operations Command. Retrieved 3 August 2015. ↑ "Special Operations for the 21st Century: Starting Over" (PDF). Association of the United States Army. Retrieved 3 August 2015. Bellamy, Chris (2011). The Gurkhas: Special Force. UK: Hachette. p. 115. ISBN 9781848545151. Horner, David (1989). SAS: Phantoms of the Jungle: A History of the Australian Special Air Service (1st ed.). St Leonards: Allen & Unwin. ISBN 1-86373-007-9. Otway, Lieutenant-Colonel T.B.H. (1990). The Second World War 1939–1945 Army – Airborne Forces. Imperial War Museum. ISBN 0-901627-57-7. Thomas, David (October 1983). "The Importance of Commando Operations in Modern Warfare 1939-82". Journal of Contemporary History. 18 (4): 689–717. JSTOR 260308. Wikimedia Commons has media related to Special forces.